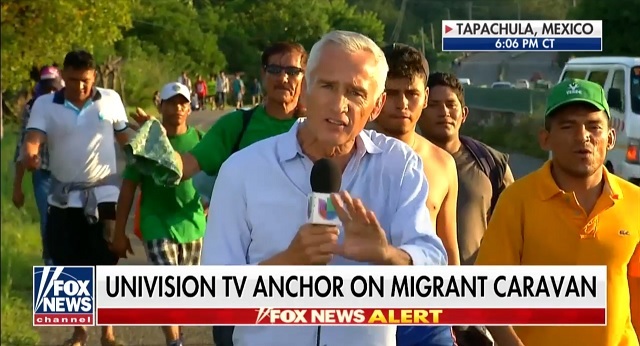 As Univision anchor Jorge Ramos assured Fox News host Martha McCallum on Monday that "there's no invasion" going on with the invading migrant caravan a sea of military-aged males could be seen passing behind him. 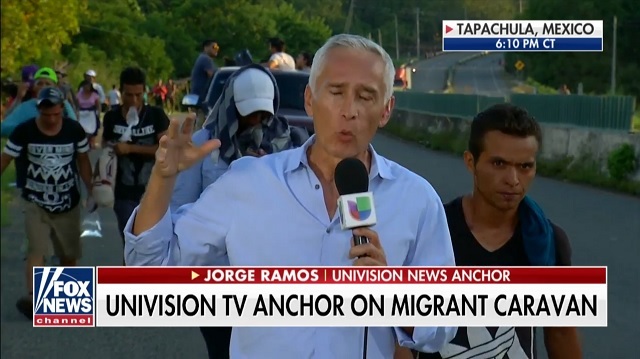 [...]Ramos said Mexican law enforcement has been acting as "Trump's police" in trying to stem the migrant tide. 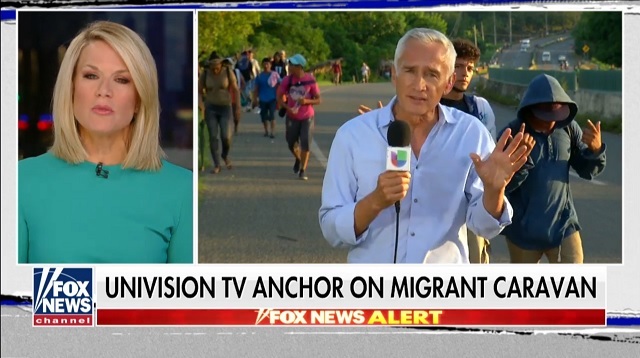 Fox News reported Monday that the migrant caravan headed to the United Stated from Guatemala and Honduras is composed of "about 80 percent" men "under the age of 35." 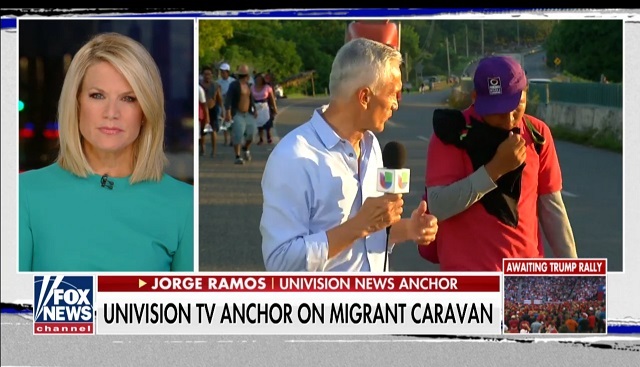 "We've been told that about 1000 people have applied for asylum here in Mexico," Fox News reporter William La Jeunesse said, "but about 80 percent of the people here are men under the age of 35." "They're going to have to try to cross illegally," La Jeunesse reported. That appears to be an entirely accurate, if not conservative estimate. Quick Translation - they need to feed their families. Some have already been to the states but returned. They want jobs to feed their families. They’ll respect the laws in other countries.